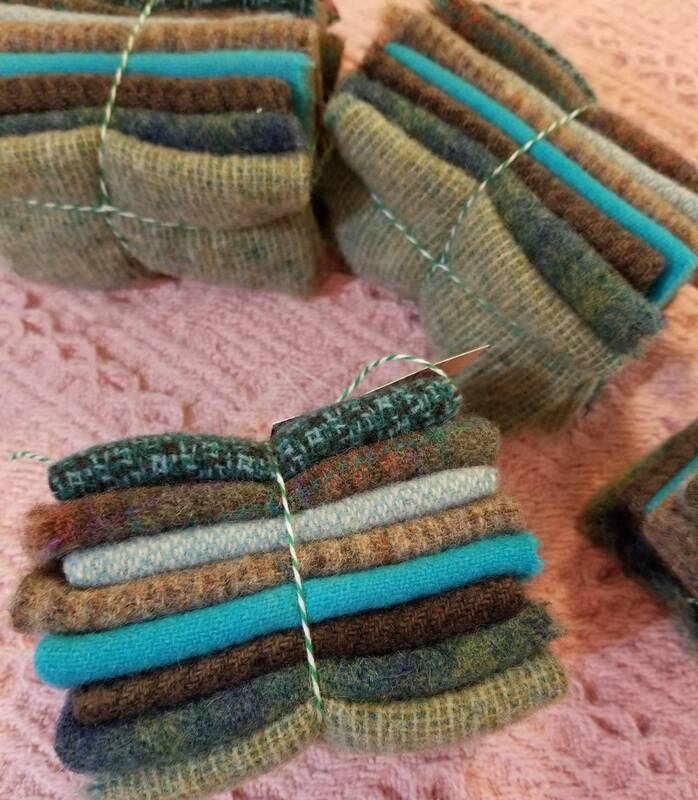 Rainforest...wool bundle...8 pieces measuring approximately 4 x 6 inches. This bundle of delicious wool includes 8 rainforest colored wools. Luscious Rainforest shades include: teal, moss, bark, and artichoke. This listing is for 1 Rainforest wool bundle. bundle may vary depending upon wool available. Final colors may vary slightly from picture due to differences in computer moniters.